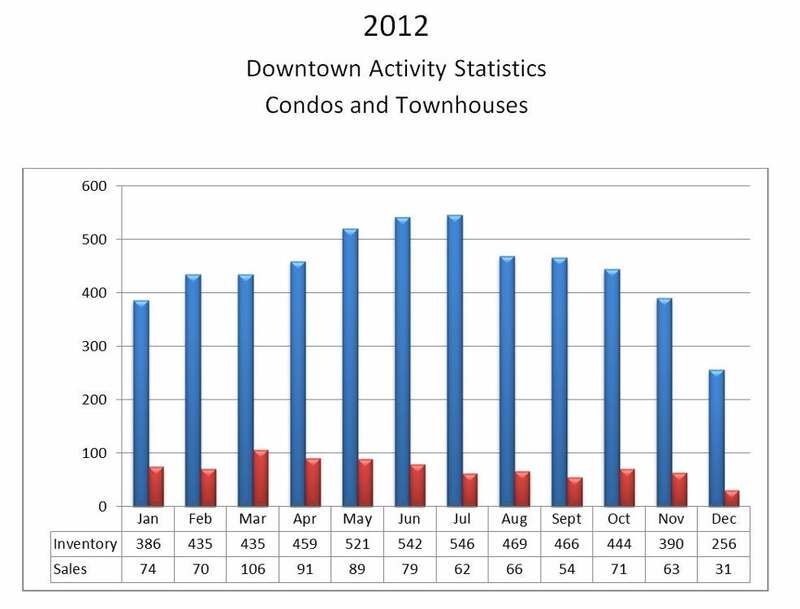 In 2012, Downtown core condo and townhouse market finished at 856 sales with an average sale to inventory ratio of 16.00%. Even though this ratio was below 2010 and 2011 average, it still stayed in the balanced market range of 14.0-21.0%. The least active month of the year was December with 31 sales and the most active was March with 106 sales reported.